Couldn't find a better location in Sydney. 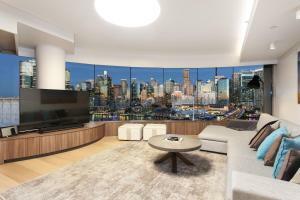 Views of Darling Harbour and the city from all bedrooms, and the amazing 270 degree view from the living area has to be the best in all of Sydney!!!. You can stand in the lounge room and look all the way from Anzac Bridge right around to Chinatown. The apartment has every mod con you can think of, and the kitchen is extremely well appointed. Our host Vicki was very easy to deal with, and check in was a breeze. I don't recommend, but insist that you should give this place a try!!! The location was fabulous and the apartment really well appointed. Check in and communication regarding the property was very easy. Despite the hustle and bustle of the location it was quiet. Close to lots of dining options and a supermarket. The pool was delightful and gym well appointed. We loved our stay! Everything was of the best & latest..plus well equipped. 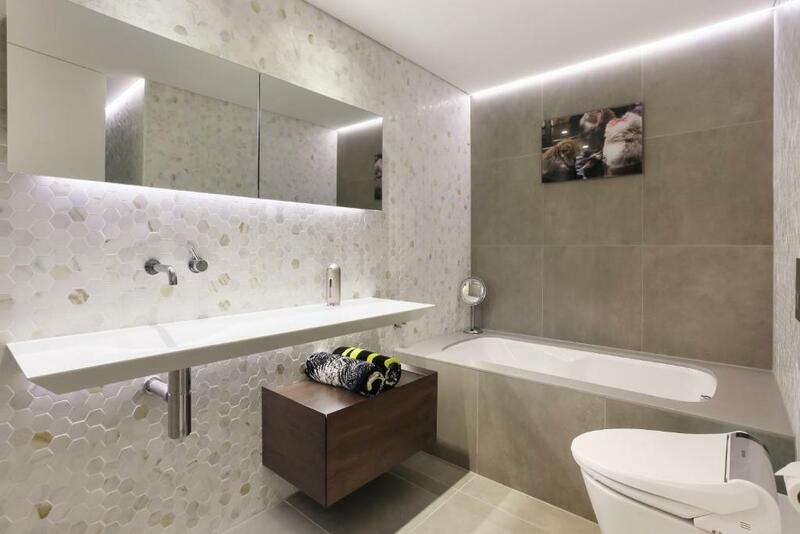 Fascinating lighting especially in the ensuite shower! 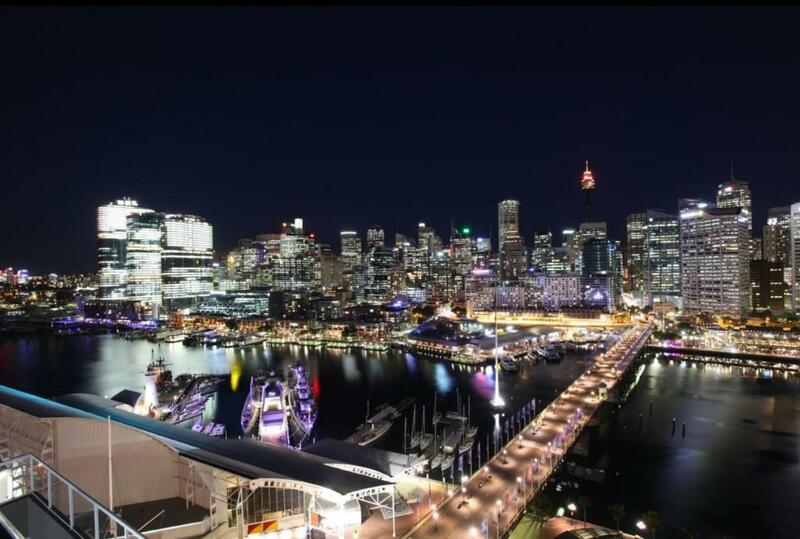 Views over Darling Harbour are fantastic. A very pleasant experience which we would love to repeat. Easy access to everything. Lock in a great price for 3 Bedroom Darling Harbour Apartment – rated 9.5 by recent guests! One of our best sellers in Sydney! 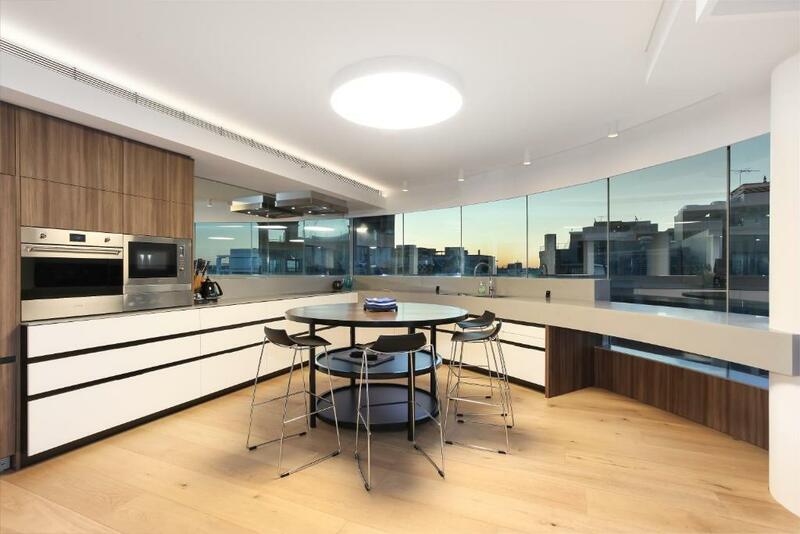 Located in the Central Business District of Sydney, within a 3-minute walk of Australian National Maritime Museum, 3 Bedroom Darling Harbour Apartment offers city views. This apartment also has free WiFi. Offering 3 bedrooms, this air-conditioned apartment features 1 bathroom with a bath, a bidet and free toiletries. There's a dining area and a kitchen complete with a dishwasher and an oven. Guests can use the hot tub and sauna. Guests can enjoy the indoor pool at the apartment. The Star Event Centre is 1,500 feet from 3 Bedroom Darling Harbour Apartment, while International Convention Centre Sydney is a 6-minute walk away. The nearest airport is Kingsford Smith Airport, 5 miles from the accommodation. When would you like to stay at 3 Bedroom Darling Harbour Apartment? 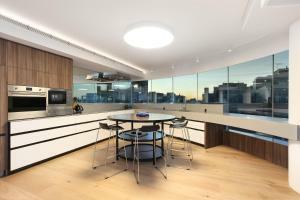 This apartment has a oven, flat-screen TV and stovetop. 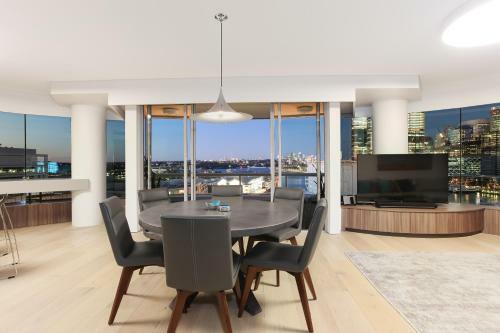 Centrally located and overlooking Sydney's magnificent Darling Harbour this luxury apartment offers not only the views of the harbour precinct but also the famous city of Sydney skyline. Located within the One Darling Harbour Building (formerly Grand Mercure Apartment complex), this 3 bedroom apartment is located at 50 Murray Street, Pyrmont NSW 2009. Darling Harbour offers the most exciting food, shopping and entertainment precinct in Sydney with several major attractions close by. All of our photos on our listing are taken in and from our apartment. This apartment has 3 bedrooms. Main bedroom has a King Bed, and the other two bedrooms have a Queen Bed. An ensuite is attached to the main bedroom. There is also a second complete bathroom and a powder room. Both bathrooms, and the powder room are equipped with Japanese Shower toilets. There is a complete Miele Washer and Condenser Dryer in the Laundry alcove. The full kitchen is complimented with everything necessary to live and be very comfortable, including a plate warming drawer. My husband and I live in the Southern Highlands of NSW, approx 1.5 hrs south of Sydney. We come and go frequently to Sydney and like to be able to share our second home, our 3 bedroom apartment in Pyrmont, with travellers. I am a keen horse rider and love a mix of country and city life. Public transport is very easily accessed, plus parking for up to two vehicles is included in our tariff. 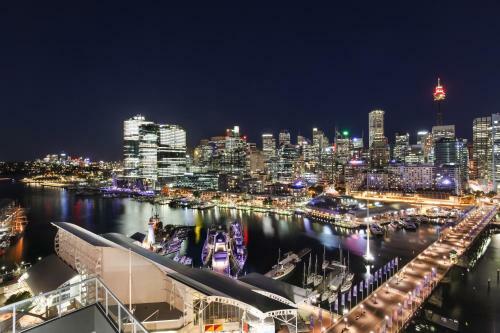 Pyrmont boasts many restaurants and eateries, as well as many other varied attractions. Access to the CBD is a short walk away. 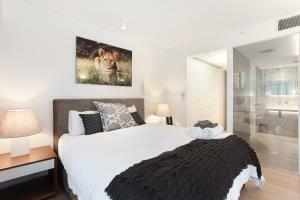 House Rules 3 Bedroom Darling Harbour Apartment takes special requests – add in the next step! 3 Bedroom Darling Harbour Apartment accepts these cards and reserves the right to temporarily hold an amount prior to arrival. 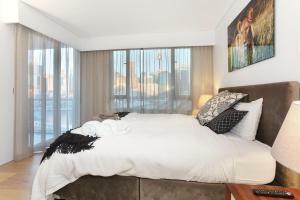 Please inform 3 Bedroom Darling Harbour Apartment of your expected arrival time in advance. You can use the Special Requests box when booking, or contact the property directly using the contact details in your confirmation. I should of booked a longer stay. The only thing that gave us a groan were hard pillows on super comfy beds!